The easy way to seed! 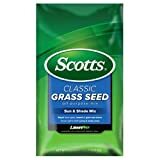 Better able to withstand heat, drought, insect infestation, and disease, Scotts Snap Pac Grass Seed Tall Fescue Mix is the mix to trust in extreme conditions. 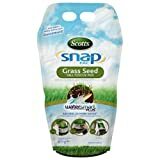 And Scotts has specially wrapped each seed in a unique WaterSmart PLUS coating to help grass grow in thicker and greener than uncoated grass seed. This is the easy way to seed-guaranteed. Scotts, .75 cuft, premium top soil, consistent Texture, with no rocks or sticks, premium blend of organic materials plus peat Moss for improved root development, good all purpose soil for planting, seeding, filling & leveling, contains organic materials, peat, composted forest products, aged rice hulls, or compost & sphagnum peat Moss.